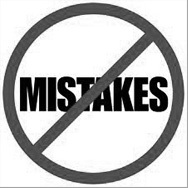 Whether you like it or not, mistakes in your marketing cost you customers and sales. Online errors can affect your search rankings, and sloppy spelling drives potential customers to question your credibility, and buy from your competitors, instead. We’ve all seen examples of pitiful proofreading that make us cringe. How do you make sure your business isn’t next in line for the hall of shame? We’re all under pressure – our inboxes are full of unanswered messages, our ‘to do’ lists get longer when they should be getting shorter, and there are never enough hours in the day… it’s no surprise we end up cutting corners. You’re too close to your own work to proofread it yourself, and your colleagues are just as busy so there’s no point asking them for help. Your marketing literature, website and social media accounts are often the first contact potential clients have with your business. You budget for design and print – even copywriting – yet how often have you risked your investment by skimping on proofreading… then found embarrassing typos in the finished product? A 2013 study revealed that 59 per cent of UK consumers wouldn’t use a company that had obvious grammatical or spelling mistakes on its website or marketing material because they wouldn’t trust the company to provide good quality service. Others were put off due to an obvious lack of care, and considered the business to be unprofessional as a result of the mistakes. So you don’t have time to proofread but you’ve run a spellcheck so it’s okay, right? Wrong. Spellcheck doesn’t know if you’ve repeated a word, or left one out, neither does it know if you’ve used the right word – it only knows whether the words you’ve used are spelled incorrectly (that’s one C, two Rs). Computers can’t check context: they don’t know if you meant there, their or they’re, affect or effect, loose or lose. And – oops! – you just spelt manager as manger. Sorry, it won’t spot that either. P45 anyone? So, don’t sack your spellchecker, but don’t rely on it to do your job for you – it’s never a substitute for proofreading. Consider professional proofreading as security on your investment. It may be another expense, but it’ll pay for itself many times over.